You will notice that the last few posts have been about weaving shows. My life is really quite divided at the moment. I need to spend lots and lots of time learning and practicing printmaking, but at the same time I still need to make a living from weaving for another couple of years. I’m trying to keep the blog about printmaking because that’s the new and interesting stuff, but stepping into my real life from time to time is unavoidable. 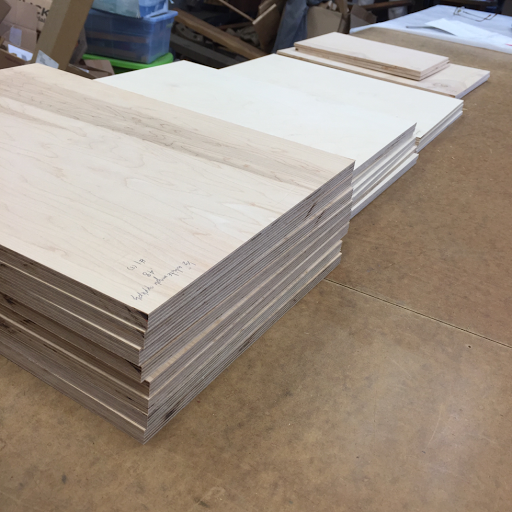 In preparation for my trip to Nebraska, I decided to learn as much as I could about consistent, repeatable plywood sources. Karen recommends birch plywood because of its consistent but not dominating grain, which should appear in the finished work with the techniques that she teaches. I had been buying it at Home Depot or Lowe’s, but found that their supply was inconsistent. The same exact product in their inventory could have very different characteristics like the thickness of the top layer of birch and the hardness of the glue used to hold the layers together. These two attributes make a huge difference in the carvability of the wood. If the top layer is too thin or the glue too brittle, the wood can splinter and make carving almost impossible for a beginner like me. 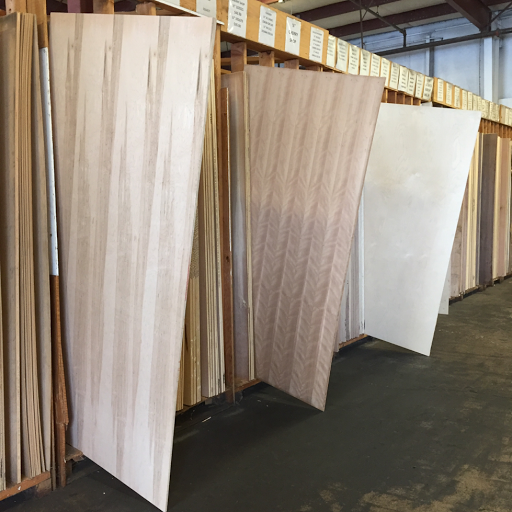 By going to the plywood specialty store in Eugene, I was able to find a source for plywood that is of very high quality and, more importantly, repeatable. If I fall in love with a specific product, it will be the same every time I go there to get it. Since I wanted to make the most of my time with Karen, I decided to go the extra mile and be sure I had every type of wood that I would want to try. 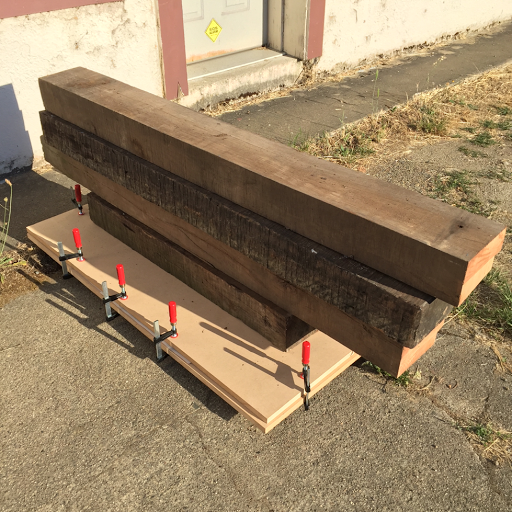 This included making my own 1/4″ plywood by gluing together two sheets of 1/8″ plywood. It just takes lots of glue, lots of time, lots of pressure, a steady hand, and lots of patience. 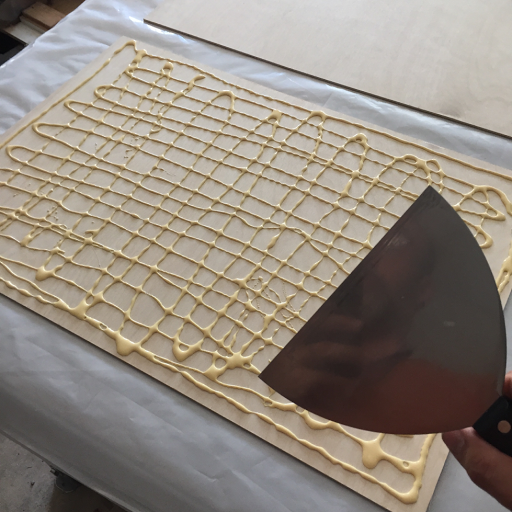 In the end, it was just hours before my trip across the country when I finished gluing, cutting, and labeling all of the plates that I could possibly ever use in my time there. I can’t wait to see what these plates can do!